While getting the proper nutrients in your system is important year-round, the body experiences more stresses during the winter, making it even more susceptible to colds, flu and other health problems. For seniors who may not always get the right nutrition, taking vitamins in the winter becomes even more essential. Certain winter supplements can help keep you healthy during those frigid months. Here are some cold weather vitamins to add to your daily routine. Vitamin D comes from exposure to sunlight, which is why it can be difficult to get the necessary amount on dreary winter days. This vitamin helps strengthen bones by increasing the body’s absorption of calcium. It also helps to promote a positive outlook and ward off depression. Because of the challenges of winter when seniors may not be able to get out even on sunny days, it helps to include the synthetic version, which is vitamin D2, in your daily routine. 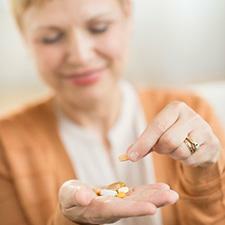 You’ll often find this vitamin included in a calcium supplement. 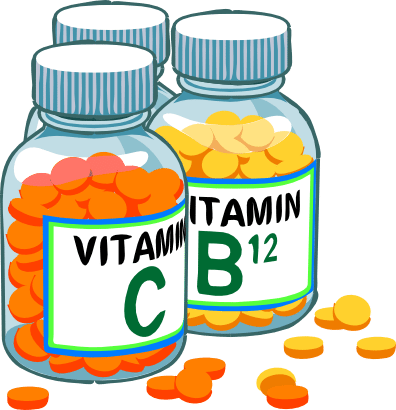 Vitamin C works to keep your immune system working correctly. Because your immune system has to work harder in the winter to fight off colds and flu, which are often going around, it takes a beating and can easily be drained. Vitamin C gives your body that lift it needs to ensure it continues to do its job. You can find vitamin C in citrus fruits or through a supplement. Zinc is a mineral that also supports the immune system. Other tasks for this mineral include regulating the appetite and the senses of taste and smell. Seniors often lose their ability to taste and smell foods, which can make it harder to get the nutrition they need if food doesn’t appeal. Loss of appetite is another issue for people as they grow older. They often attribute it to lack of exercise, but it may really be caused from low zinc levels. Vitamin E helps your skin maintain its softness and suppleness. If you suffer from flaky skin or skin that’s dry, it may be caused by a lack of vitamin E. You can easily replenish it through a lotion that contains the vitamin or an oil. You can find it mixed with other oils like almond and avocado. Besides moisturizing the skin, vitamin E products also protect the skin from damage. Since seniors have thinner and often more sensitive skin, vitamin E becomes even more important. Elderberry includes antioxidants to keep your system in optimal condition. It has even more antioxidants than blueberries. The antioxidants can help fight off infections and provide many other health benefits. They ward off colds and flu and help fight other contagious diseases and conditions. The best way to get all of these nutrients in the system is through eating a varied and healthy diet. However, this is often difficult for seniors, which is why it’s important to include them in winter supplements. With the right combination of supplements, the elderly can survive winter with fewer health problems and a more positive attitude until spring arrives.